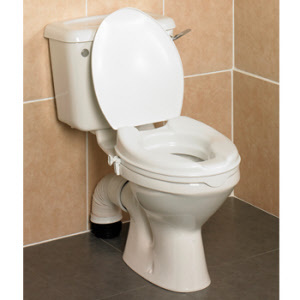 Raised toilet seats to help when sitting or raising from the toilet. 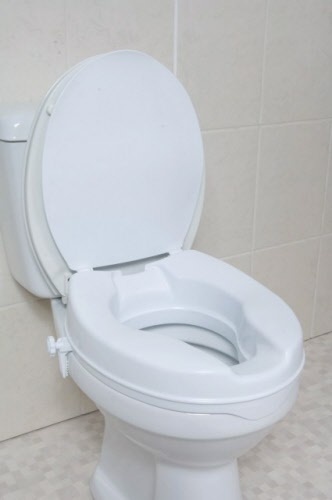 These raised toilet seats come in different heights depending on the height and ability of the user. 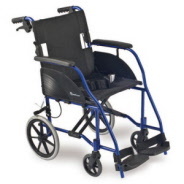 Lightweight, all plastic construction, for strength and durability, the Savanah has a gently contoured surface that improves the comfort and seating position of the user. 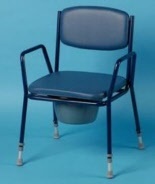 The seat slopes downwards slightly from back to front, as to allow easier lowering and raising from the toilet, and has a splash guard to minimise soiling. Resistant to stains and odours, it is fully sealed and easy to clean. Available without or with the clip-in lid and different heights of 2 or 4 inches. Select from the drop down menu. 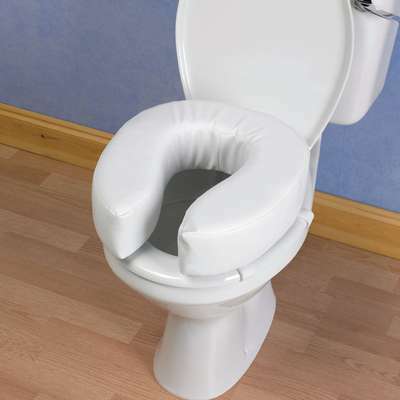 A soft cushion that attaches to the existing toilet seat to provide extra comfort and to raise the effective seat height by 2 inches. The cushion simply attaches with four hook and loop straps. The white vinyl covering protects the cushion and is easily cleaned. Width 360mm (14˝). Length 410mm (16˝). A soft cushion that attaches to the existing toilet seat to provide extra comfort and to raise the effective seat height by 4 inches. 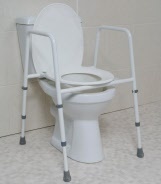 Toilet frames and rails to help make life easier when there is difficulty sitting or rising off the toilet.